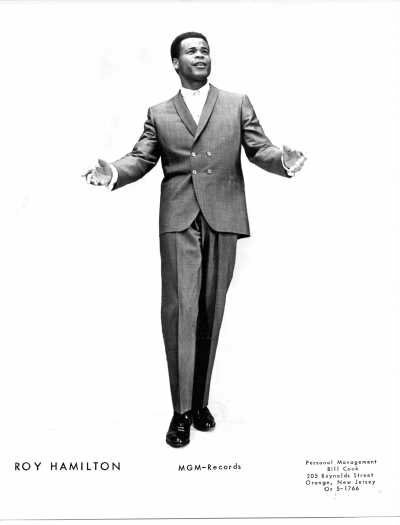 ‘Roy Hamilton, during his illustrious 15-year singing career, was known by many nicknames: Mr. Rock and Soul, The Gentle Giant, and, most notably, The Golden Boy of Song. But few of these nicknames fully encompass the majesty of his voice, the influence he had on the artists of his generation, or the legacy his music has left behind. He was idolized by Elvis Presley, emulated by Jackie Wilson and Brook Benton, and covered by the Righteous Brothers. And his voice and legacy have earned him a place in the annals of history for years to come.